To make students understand the value of clean water in their local environment. To develop their knowledge about the importance of water by analysing its role in the past, present and future. To enhance responsible attitudes and effective key competences towards the respect of water and our environment. To improve students’ language and intercultural knowledge. To make the students from the target group and the community responsible about the problem of water management. To identify solutions concerning the responsible management of environmental problems in general and water in particular. To integrate students in the European society as active participants and potential future decision makers. 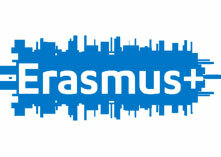 To promote cooperation between young people from different European countries. Subjects and problems: 1. The main subject of the project is water preservation. The students will need to explain why water has become an endangered natural resource, they will find solutions and alternatives for reducing water consumption and they will identify alternative water resources. 2. The second main subject is providing European cooperation between students from different countries as active citizens in a common effort to resolve a general problem which will affect Europe in the years to come. Approach to achieve the objectives: The approach on this project is made through various strategies, deductive and inductive, focusing on the trainee. All the activities will be active and participative; we plan using modern methods and digital instruments, educational platforms, virtual work places. Starting with local geographical particularities, but concerning a common problem at a European level, the students will work in international teams with the purpose of harmonizing the suggested solutions. By using brainstorming and student‐centered methods, questioning problems, case studies and projects, the students will be able to offer concrete solutions to the identified problems. “Love Every Drop” project will provide an introduction to the importance of water on both local and global basis. It aims to raise awareness of how simple actions can substantially reduce water consumption. The opportunity to work in a European-wide multilateral project will probably be a unique and precious experience for everybody involved in this project which will inevitably make a difference in the participants’ lives. We are positive that the established contacts between participating schools, staff and young people all over Europe will outlive and enrich the project. That’s why LED should be carried out on transnational platform.